Wael Amr Chief Executive Officer at Frogwares has taken to the official PlayStation blog this week to reveal more details and 11 minutes of gameplay from the upcoming new Sherlock Holmes game The Devil’s Daughter, developed by Frogwares and published by Bigben Interactive. 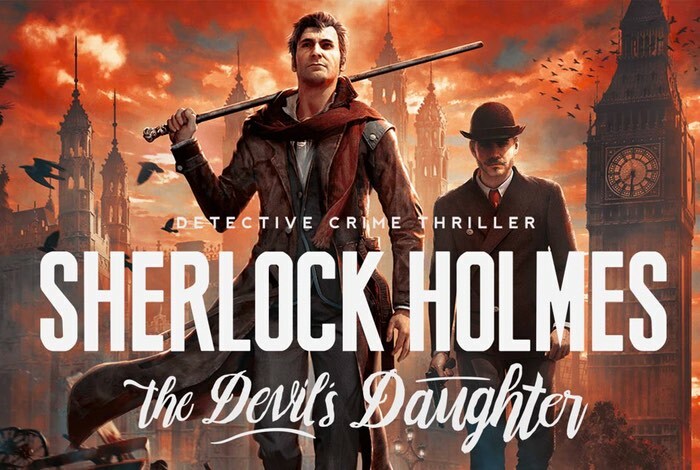 Sherlock Holmes The Devil’s Daughter was first unveiled during March of this year and follows on from the first in the series but took the form of Sherlock Holmes: Crimes & Punishments which launched on PlayStation last year. To learn more about what you can expect in the latest Sherlock Holmes game check out the 11 minute gameplay trailer below. The game will be officially launching in just a month’s time and will be available to play on the PlayStation 4, Xbox One and PC systems. Like its predecessor the majority of the game involves exploring crime scenes and examining clues. Once discovered, clues are added to a “deduction board”, a gameplay mechanic which involves linking pieces of information together. It will lead to possible different deductions. Once deductions are connected together, player will have a full tree of deductions. Depending on how players interpret the clues, they will have different conclusions. Therefore, the player can fail or succeed in finding the culprit.